Take first tablet on Sunday. Sunday is your day. Sunday – Three weeks on – one week off – pay no attention to periods from then on – Just three weeks on – one week off. Always begin on same day – Sunday. The pink ones you may discard, unless you want to get into the habit of taking a pill every day – those correspond to the week off. All the above is example – your day depends on when your period starts. Obviously if you start on a different day than Wednesday, it will make a different day for you to begin your pills. 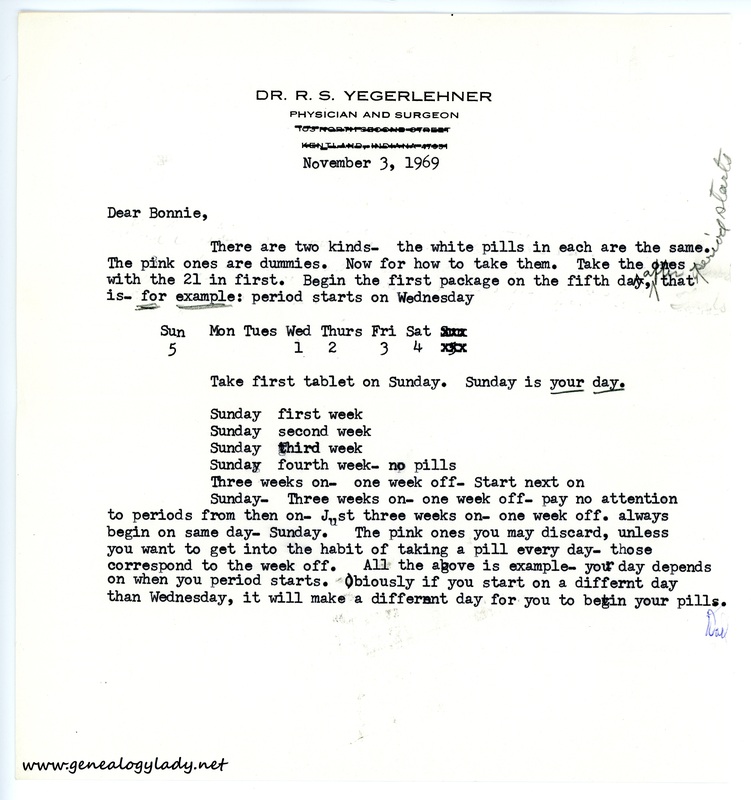 This entry was posted in Genealogy, Yegerlehner and tagged 1960s, genealogy, Indiana, Rockport, Roscoe S. Yegerlehner on July 8, 2017 by Deborah Sweeney. It was handy to have a doctor in the family. He would have thought it was nuts for people to have any religious objections!